Amazon routinely offers Prime member deals on movies and TV shows, and the latest offer is all about Marvel. Well, Marvel and a little Pixar. All about Disney, really. 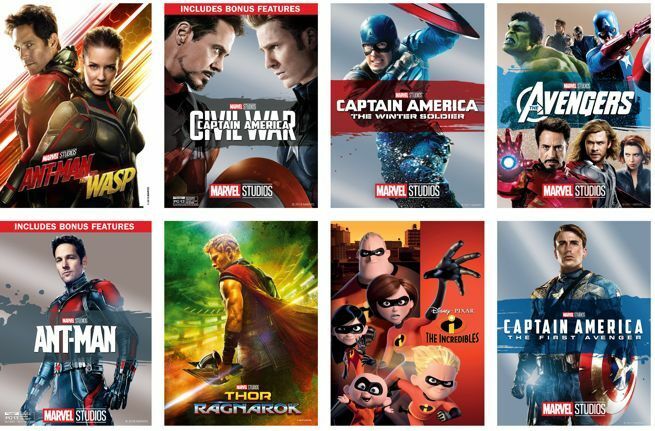 For a limited time, Prime members can rent all of the movies featured here for only $1.99 each, with the exception of Ant-Man and the Wasp, which is priced at $2.99. That movie just came out on Blu-ray and digital, so if you haven't watched it yet, this is your golden opportunity. Once you rent it you have 30 days to start watching, so there's a lot of flexibility there if you can't have your movie night right away. As for the rest of the lineup you can rent Captain America: The First Avenger, Captain America: The Win ter Soldier, Captain America: Civil War (with bonus features), Ant-Man (with bonus features), Thor: Ragnarok, and The Avengers for $1.99 each. Amazon also threw in the original Disney / Pixar animated film The Incredibles for good measure. Jump on this sale while you can because it won't last long.